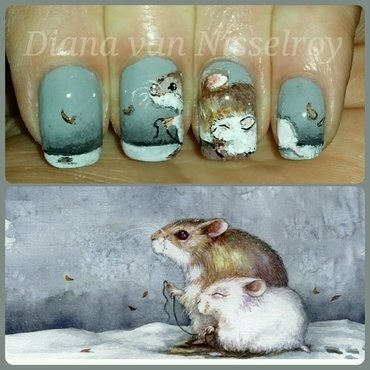 Recreation of Narmai (Piggieluv) inspired by this painting. 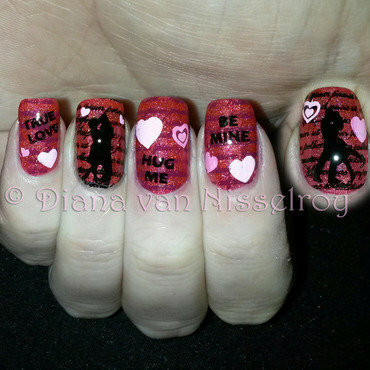 All freehand with nailpolish. 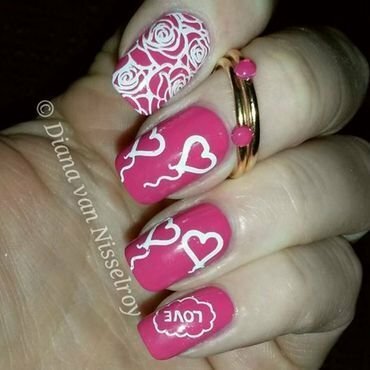 A Valentine's Day mani. Love bugs. 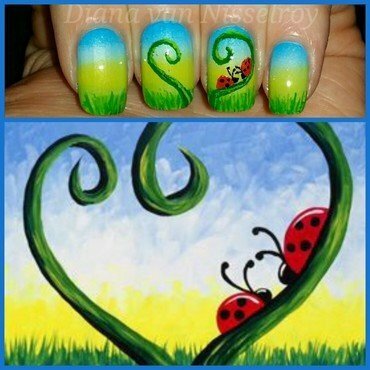 Two lady bugs in love. All freehand. Nothern lights winter scene. 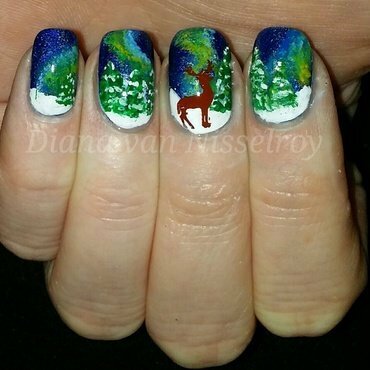 Freehand but the deer is stamped. 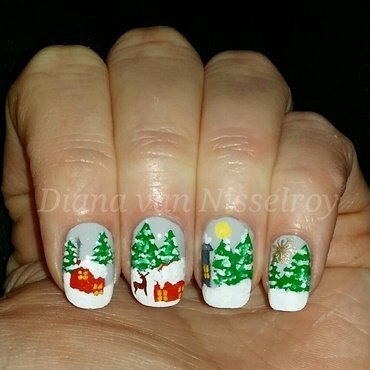 Freehand scenery but the deer and golden snowflake is stamped. Freehand scenery with my doggy Nani. 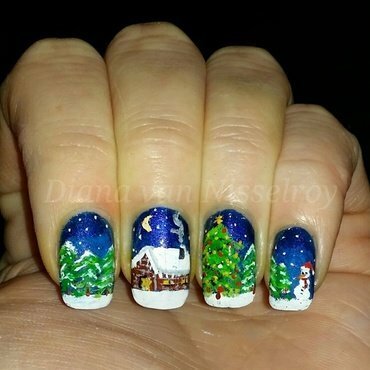 Winter scène all freehanded with stamping and regular polish. 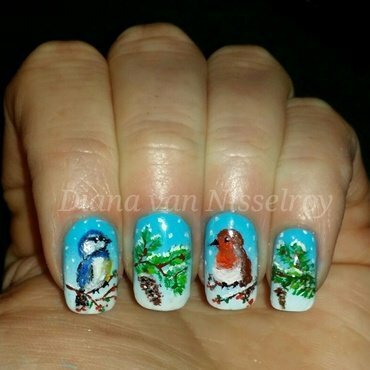 Birds in the winter freehanded with nailpolish and stamping polish. 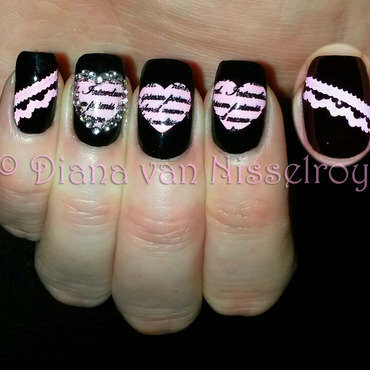 Essence 46 Black is back for the base, I double processed stamped the heart shaped love letters (first picked up the writing MM24 with BPS black then the hearts MM03 with MdU 25 so I could stamped the hearts with writing on my nails) Also added some lace MM44 (too bad the picture doesn't show the lace details well) On my ring finger I outlined the heart with tiny silver rhinestones. 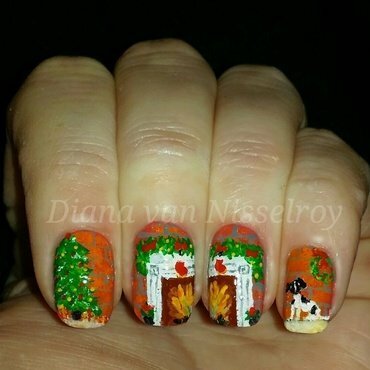 I haven't posted here for a while but here is my recent Freehand mani. 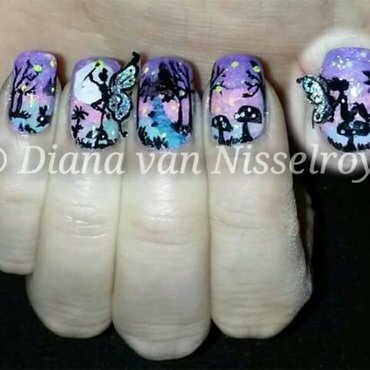 Enchanted Fairy Forest with flowers, a little creek, cute bunny, mushrooms (or should I say Fairy houses) fairies with 3D wings and little fire flies. 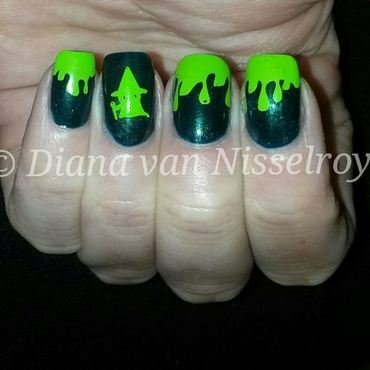 My simple Halloween nails from last weekend. 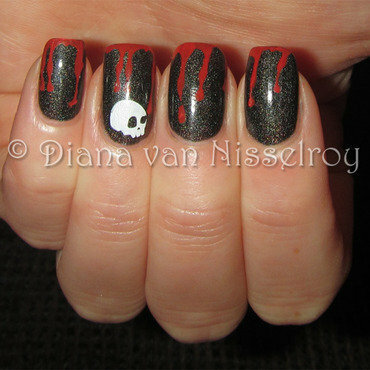 Catherine Arley 806 as a base, stamped the blood drips with MdU Reddish and the skull with Konad White. 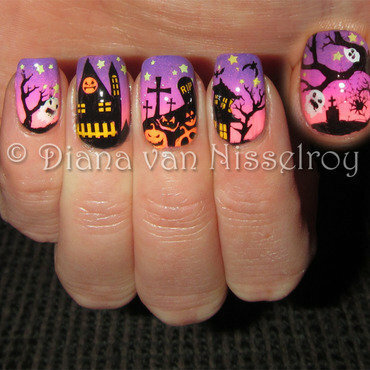 Both images are from Nailways Monsters- Halloween plate.